Happy Halloween! 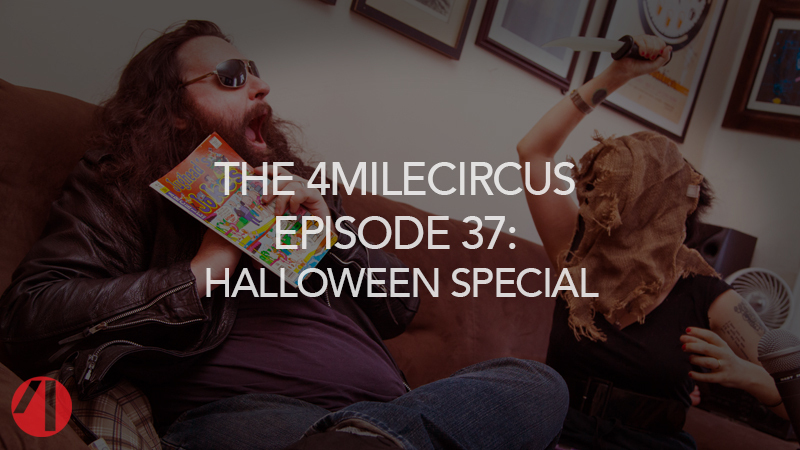 On this 37th episode, GoreMileCircus partners Sean and Nicole share films viewers should watch (and avoid) this spooky season. There’s plenty of time for terrifying digressions into why Sean believes LL Cool J’s roles in Halloween H20 and Deep Blue Sea are “the best reflection of life in America,” Nicole’s strong feelings regarding American Horror Story: White Nonsense and the Little Shop of Horrors Director’s Cut, confusion regarding Chastity the vampire comic book vs Chastity the vampire stand up comedian, how to start a Small Talk fight club, how True Detective ruined Sean’s script, our mutual affection for Paz De La Huerta, Nicole’s chastising of Sean for not having seen enough Jim Jarmusch or Phantasm movies [note: since this recording, Sean has seen ALL of the Phantasm movies], debating whether or not Trump is an effective cult leader, why they don’t make body switching comedies much anymore, and the urban legend that ruined Halloween. We conclude with a raucous, impromptu game of Little Shop of Horrors trivia. If you liked this episode, please subscribe and leave us a review on your podcast platform of choice so other people will be more likely to find the show!